If you’re a Realtor in the Indianapolis area and you have clients who have purchased an investment property, or you have clients who cannot seem to sell their property in this market, we can help you. As your partner for property management in Indianapolis, we can help you solve your rental problem and be one of the best resources for you and your customers. Our team can help you make the property more appealing to high quality tenants, or work with you on breaking down the numbers to see why renting might be better than selling at this particular moment. If you have clients who are thinking about buying a home, but they’re not ready yet – refer them to us and we’ll place them in one of our rental properties while they continue their house hunting with you. This is a great way for them to get to know the local neighborhoods and communities, while deciding how big of a house they need and what kind of amenities they want. Spending a year or two in a rental is helpful to first time buyers or people new to the area. 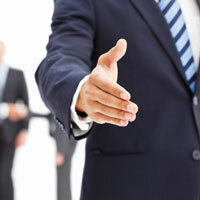 ES Property Management has a variety of referral and partnership programs. We love working with the best professionals in the real estate industry. We know that in order to be the best in your business, you need to focus on your real estate sales. Let us do what we do best and take care of the property management for you and your clients. When they’re ready to buy or sell, we’ll turn them back over to you. Our reputation as one of the best Indianapolis property management companies has allowed us to develop mutually beneficial and successful relationships with Realtors like you. Contact us today and find out how we can achieve something together. *Investor clients and/or owners of multiple properties often demand and receive lower management fees. Their referring Agents are compensated at a rate of 50% of one month’s rent for the first property and 10% for each additional property.